48 or 60 in. : Working widths Choice of two sizes to pick from. 17-25 HP rating: Fits a wide variety of small tractors between 17 & 25 HP. Cat. 0 with Cat. 1 pins and Cat. l limited hitch types: Fits smaller tractors with Cat. 0 hitch & Cat. l limited hitch. Blade angles left and right up to 30 degrees in either direction: (5 forward positions in 15o increments and 5 reverse positions in 15o increments) Many angles for diverse jobs and results. Blade offsets left and right 10 in. 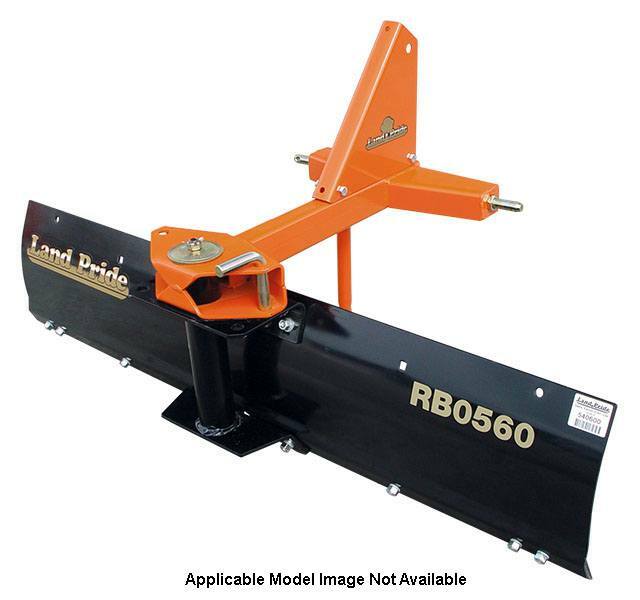 : Manually adjust offset to move moldboard over and keep hitch centered on tractor. Heat treated cutting edge: Hard edge protects the moldboard edge. Landscape Rake: adaptable 05 Series Landscape Rake element will fit in place of the moldboard for diversity.